Lifting a classified satellite in the interests of U.S. National Security, ULA’s Atlas V rocket lit up the night skies over Florida’s Atlantic Coast on Sunday – finally getting off the ground on its fifth launch attempt. 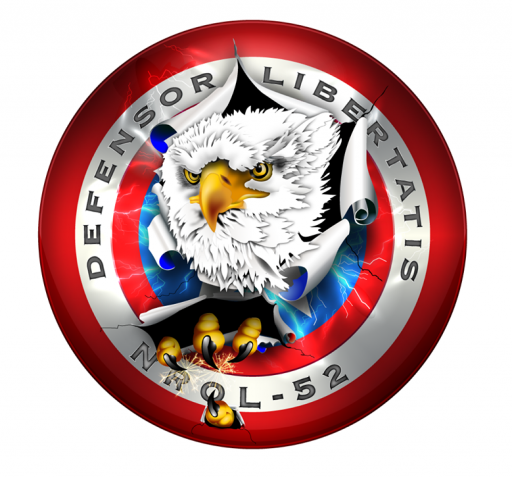 Hidden from view under the rocket’s payload fairing was NROL-52 – a classified satellite of the U.S. National Reconnaissance Office, likely joining a constellation of spacecraft tasked with relaying reconnaissance data from America’s orbiting spy assets. Enlisting the help of two Solid Rocket Boosters for extra push, Atlas V lifted off from Cape Canaveral’s Space Launch Complex 41 at 7:28 UTC, 3:28 a.m. local time. 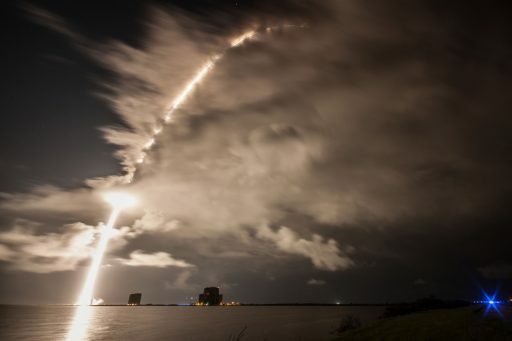 Rising vertically for just a handful of seconds, Atlas V swung to the south-east and dropped its boosters into the ocean two minutes after launch, continuing into space powered by its Russian-built RD-180 main engine. The trusted Centaur assumed control of the flight after passing the four-minute mark and the fairing fell away ten seconds into the upper stage burn – marking the start of a pre-arranged news blackout to allow NROL-52 to reach its secret orbital destination without the public watching. Despite the NRO’s secret-keeping policy when it comes to the agency’s launches, it is quite clear where NROL-52 is headed from navigational warnings published prior to launch, lining up with the standard departure path from Florida when heading into a Geostationary Transfer Orbit. Employing a two-burn flight profile, NROL-52 will separate from its booster less than one hour after launch into a highly elliptical orbit from where it will employ its own engine to climb into a stationary position nearly 36,000 Kilometers over the equator. Confirmation of launch success for AV-075 and NROL-52 was provided by ULA around one and a half hours after liftoff and will be the last heard of the classified satellite, though satellite observers are at the ready to spot the satellite and monitor where it will settle once arriving in its operational orbit. Sunday’s launch marked the fourth NRO launch of the year, following the NROL-79 ship-tracking satellites launched on an Atlas in March, the mysterious NROL-76 that went up on a SpaceX Falcon 9 in May and buzzed the International Space Station a short time later, and the recent Atlas V launch from California with the NROL-42 electronic intelligence satellite. For Atlas V, Sunday’s launch was the sixth and final planned mission in 2017 and the 74th flight since the rocket’s debut in 2002. The National Reconnaissance Office (NRO) operates within the framework of the various three-letter intelligence agencies in the U.S. as a link between the Department of Defence and the Intelligence Community, tasked with the design, procurement, launch and operation of all the country’s intelligence-gathering & support satellites and the distribution of satellite intelligence other agencies including the CIA and NSA. Founded in 1961, the NRO operated as a black organization for the first three decades of its existence before being disclosed to the public and beginning to announce its launches in advance. As an intelligence agency, the NRO makes efforts to keep all its activities secret, including the identity of satellites it sends into orbit. However, occasional leaks, knowledge on previous NRO programs and watching satellite activity in orbit can provide valuable information for the identification of satellites and uncover their objectives. NROL-52 was a close repeat of the NROL-61 mission of 2016, the only previous NRO use of an Atlas V 421 rocket, indicating the two are launching the same type of spacecraft – further supported by downrange safety areas that lined up perfectly for the two missions. NROL-61 was understood to be the first in a new generation of Satellite Data System (SDS) satellites and was found in the days after launch in a Geostationary Transfer Orbit of 1,100 by 35,800 Kilometers and has since begun serving as USA 269 within the operational SDS constellation from a position near 90°E over the Indian Ocean. The Satellite Data System – flying under the code name Quasar – debuted in 1976 and has since gone through four generations of satellites, starting out as a constellation of satellites in highly elliptical Molniya orbits to guarantee robust communications over the northern hemisphere as the Soviet Union was the prime target of space-based spying efforts in those days. 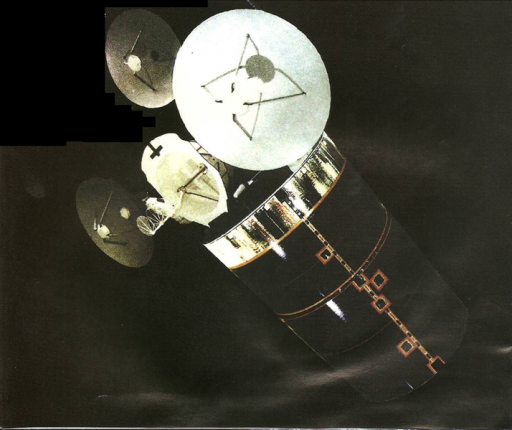 Four second generation satellites went up in the 80s and 90s when the system switched to a combination of Molniya and Geostationary Satellites for global coverage. The third generation continued this architecture until the replenishment of Molniya satellites apparently stopped in 2007, likely marking the transition to a fully GEO-based system. SDS is similar to NASA’s Tracking and Data Relay Satellite System in that it places satellites into high orbits to relay communications to lower-orbiting satellites – allowing flight controllers to command satellites in real time for the majority of their orbits and enabling reconnaissance data, e.g. images from the Keyhole satellites, to be delivered to analysts almost immediately after acquisition. Additionally, SDS supports the Air Force Satellite Control Network and can be used for secure aeronautical communications. The switch to the Atlas V 421 rocket for the fourth generation SDS satellites while predecessor craft used the less-powerful Atlas V 401 or Delta IV M+(4,2) suggests they have gained mass; the change from the Long Payload Fairing to the Extra-Extended Fairing also indicates the satellites got larger, possibly due to bigger communication antennas. 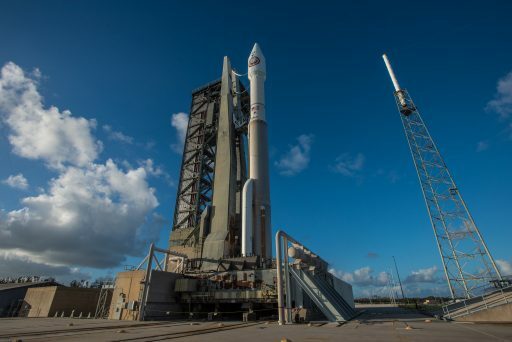 Atlas V 421 can deliver up to five metric tons into the NROL-52/61 target orbit, placing an upper bar to the satellite’s mass – making them heavier than the latest generation of TDRSS craft that weighed in at 3.5 tonnes and used Atlas V 401 vehicles. NROL-52 had a ten-day battle with Florida weather and technical gremlins before finally making it off the pad. Launch attempts on October 5 and 6 had to be scrubbed for high winds and lightning, respectively, and a third try to launch ended when the rocket’s S-Band telemetry transmitter was found to be defective. Atlas V returned to its integration facility on Monday and had the transmitter replaced & re-tested by Wednesday, allowing the 59-meter tall vehicle to return to the pad on Thursday. 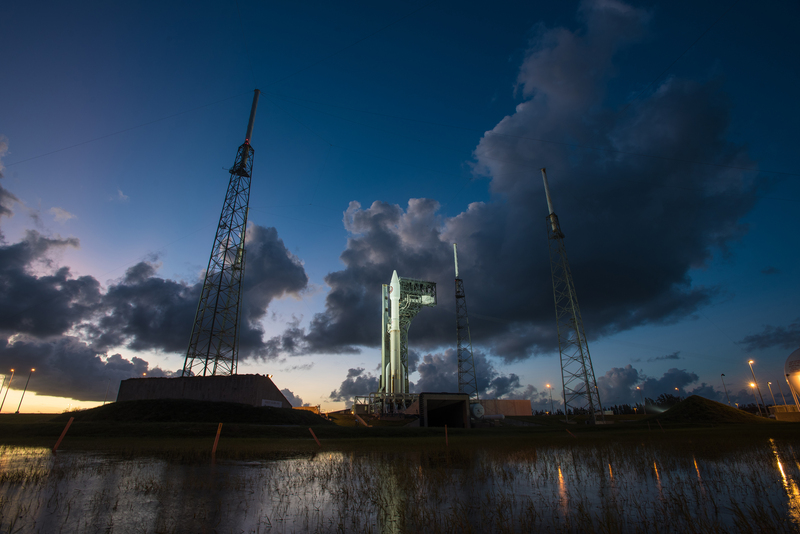 A launch attempt on Saturday could not move further than the T-4-minute hold point due to persistent showers and gusty ground winds over the Cape Canaveral space port. Facing a more positive weather outlook, Atlas V was powered up for a seven-hour countdown that began with a comprehensive set of checks while engineers closed out the launch complex in preparation for tanking. 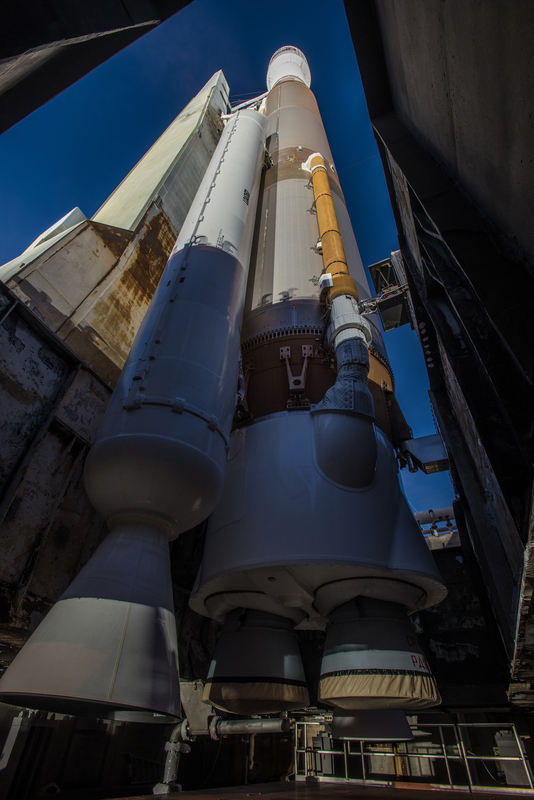 Atlas V entered cryogenic tanking once clocks began ticking after a planned hold at T-2 hours, receiving 185,000 liters of -183°C Liquid Oxygen on its first stage while the Centaur upper stage was filled with 15,700 liters of LOX and 48,000 liters of -253°C Liquid Hydrogen fuel. The first stage had received its dose of 94,600 liters of Rocket Propellant 1 before the night’s countdown, leaving only cryogenic propellants plus Helium pressurant gas to be loaded. Illuminated by floodlights, Atlas V was filled with 305 metric tons of liquid propellants as the countdown ticked along as planned without any technical problems and a favorable trend in the weather. 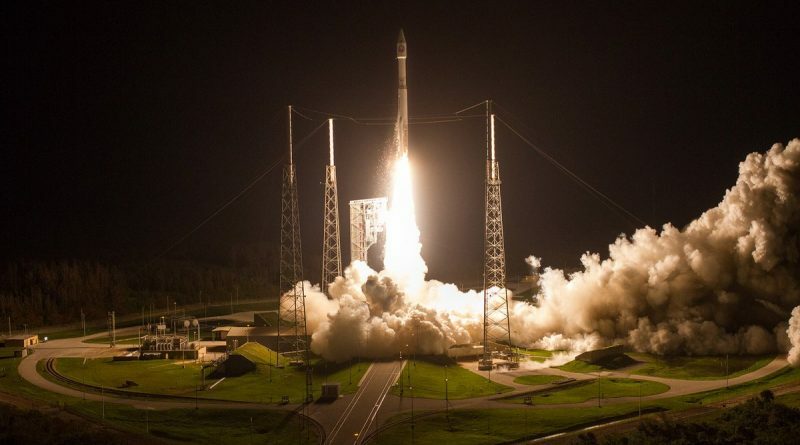 As clocks picked up at T-4 minutes, computers assumed full control of the countdown with Atlas V terminating propellant load and pressurizing its tanks, switching to internal power, arming its flight termination system and taking over control at the T-2 minute mark. Final status checks with the Eastern Range and Launch Director in the last minute cleared the vehicle into its ignition sequence. Atlas V came to life at T-3 seconds when the two-chamber RD-180 engine fired up to soar to a launch thrust of 390 metric ton-force under the close supervision of computers to ensure the engine was working properly before committing the vehicle to flight with the ignition of the boosters. Liftoff occurred at 7:28:00 UTC when Atlas V fired up its twin Solid Rocket Boosters to leap off its pad with a thrust of 735 metric ton-force. Atlas V shot up vertically for only five seconds before the boosters and main engine chambers were gimbaled for the rocket to pitch over and roll onto a 99-degree launch azimuth, departing Florida to the south east on the standard path toward a Geotransfer Orbit. The vehicle passed the speed of sound 37 seconds after blasting off and the RD-180 engine throttled back briefly around 52 seconds into the mission when Atlas V encountered maximum aerodynamic pressure on its way through the dense atmosphere. Each contributing 172 metric-ton-force to the vehicle’s overall thrust, the two boosters exhausted their 41-tonne propellant supply 94 seconds into the flight and thrust began tailing off. Atlas V held the boosters for another 35 seconds in order to separate them in more favorable aerodynamic conditions, ensuring the 17-meter long SRBs would drop away cleanly. 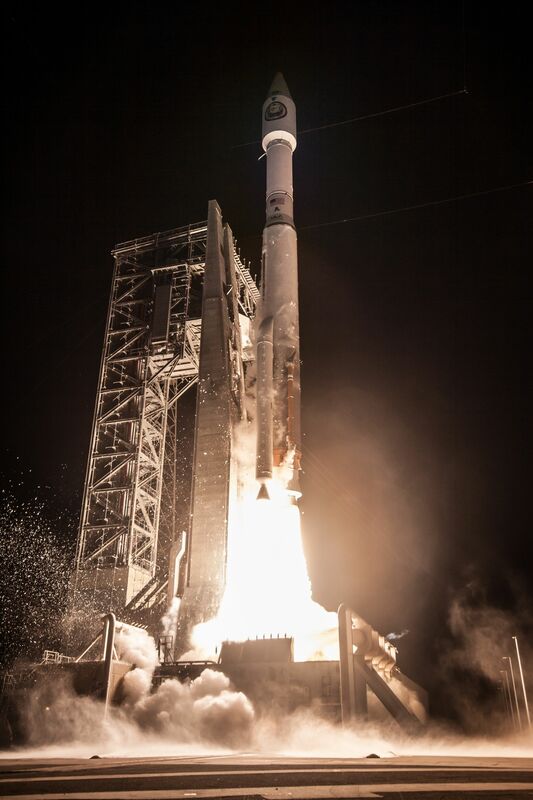 Continuing on toward space, Atlas V switched into Closed Loop Control after flying a pre-programmed attitude profile when ascending through the discernible atmosphere where winds can influence the loads experienced on the vehicle. 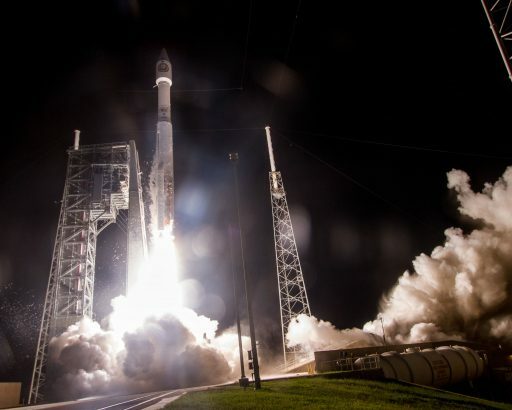 Approaching staging, Atlas V began throttling back on the RD-180 engine to maintain a constant acceleration at 4.6Gs as the vehicle got lighter and lighter. Meanwhile, Centaur prepared for operation by chilling down its RL-10 engine and firing a pyro valve enabling pressurization gas to prime the Reaction Control System. The end of the first stage burn came with a clean shutdown of the RD-180 engine four minutes and ten seconds into the flight, followed six seconds later by the separation of the empty first stage via pyrotechnics and retrorockets to clear the way for upper stage ignition. Upon staging, Centaur entered into RL-10C pre-start before igniters fired to enable the 10,200-Kilogram-force engine to begin its first burn to lift the stack into an initial parking orbit. Separation of the payload fairing occurred ten seconds into operation of the Centaur as Atlas V shed further weight since aerodynamic forces could no-longer harm the classified satellite. At the time of fairing jettison, Atlas V was already traveling 5.2 Kilometers per second, crossing an altitude of 110 Kilometers. Per the usual procedure of the NRO’s secretive launches, Atlas V entered a pre-arranged news blackout at the point of fairing separation with no more details on the mission’s progress shared in real time. Per the NROL-61 launch, Centaur was likely to employ a two-burn ascent profile with an initial boost into an elliptical Parking Orbit for a coast phase of under one hour in order to gain altitude. The second burn was to boost the apogee of the orbit and reduce its inclination to achieve a Geotransfer injection with increased perigee. 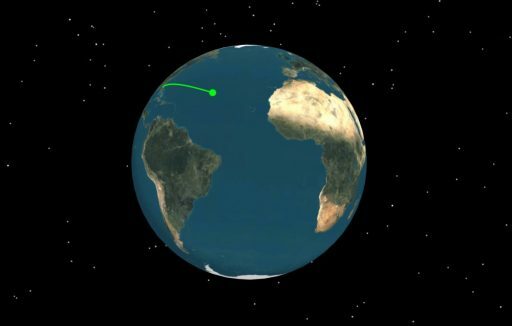 Based on NROL-61, Satellite Analyst Ted Molczan expects NROL-52 to show up in an orbit around 1,108 by 35,806 Kilometers, inclined 18.68°.